Ottawa Indie Fest, a cultural, not-for-profit organization, is celebrating cinema by showcasing independent films and filmmakers from Canada. In February, Ottawa Indie Fest launched its web and social media presence and invites indie filmmakers to get involved in the mission to highlight the culture of indie film. Three men are behind this initiative: Jith Paul, an indie filmmaker from Ottawa and founder of Treepot Media, Ed Kucerak, an Ottawa-based independent director/producer specializing in documentary and television production, and Blair Campbell, a film and television expert with experience in business development and marketing. Last July, we chatted with Paul about Treepot Media, a production company based in Canada’s capital, focused on producing and collaborating on documentaries, short films and music videos. For four years, Paul has hosted “Treepot Screenings,” a series of public screenings for over 150 Ottawa based and Canadian independent films. Ready to take these screenings to the next level, Paul, Kucerak and Campbell have created Ottawa Indie Fest. “We want to create opportunities for Canadian indie filmmakers, film fans and venues to collaborate, share, celebrate, learn and grow,” Paul said. “That is primarily what Ottawa Indie Fest is about. Our mission is grounded in the belief that Canadian film and filmmakers are distinctive and vital to our country’s culture and the development of the local economy,” he added. The idea for Ottawa Indie Fest has been percolating for a few years through Treepot Screenings, but the non-profit aspect of the company came into play in the fall of 2014. Though it’s not a traditional festival right now, Paul said he and his team launched the brand to offer a focal point to filmmakers and film fans, locally and internationally. Ottawa Indie Fest does this by spotlighting events, screenings, online articles and resources related to Canadian indie film. “We think Canadian film and television is growing to show off the vast array of talent and resources we have to offer…We think the local film fan community and local businesses, as well as the Canadian indie film industry can benefit from spreading the word about everything indie that’s going on locally. By doing that, we can help to grow the community of fans for creative artists who follow their passion,” Paul said. Swearing by collaboration, Paul said the best part about co-founding Ottawa Indie Fest is getting to work with like-minded individuals on plans and strategies to grow the indie film industry in Canada’s capital, while also helping to grow the fan base surrounding Canadian film. “There is much to be gained by exposing film fans to different kinds of films and different types of productions taking place: Opportunities to collaborate, grow and celebrate our passion for visual storytelling,” Paul said. Ottawa Indie Fest is also launching a video web series profiling films and filmmakers and hosting Canadian Indie Film Night, an all-new series of meet-ups before visiting sets of locally produced indie films. 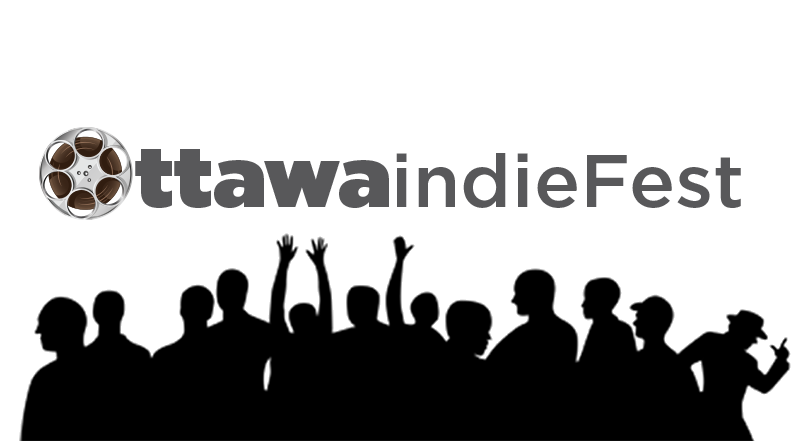 Click here to get in touch with Ottawa Indie Fest’s co-founders and learn more about what they offer.